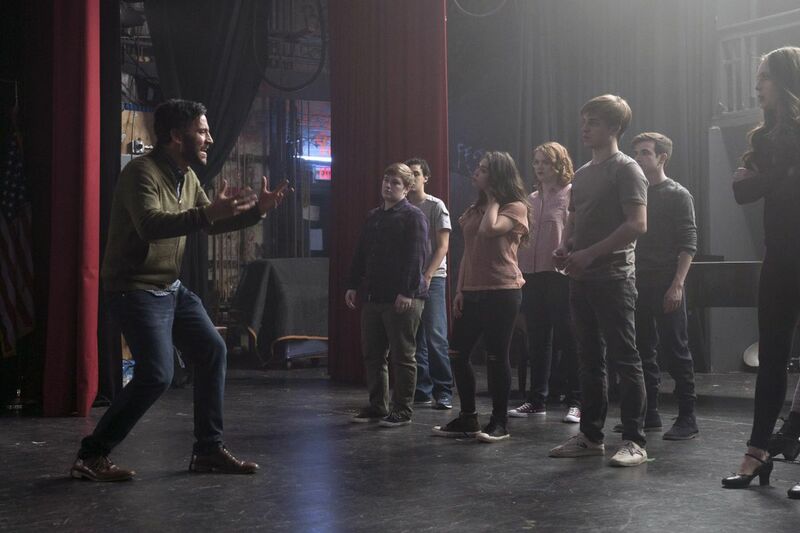 NBC will award two Philadelphia-area schools with $10,000 grants to benefit their theater departments in honor of the forthcoming series Rise, which was inspired by the drama program at Levittown's Harry S. Truman High School. Truman High and Philadelphia's Mastery Charter Schools Foundation are two of 50 high schools throughout the country receiving the grants as part of NBC's Recognizing and Inspiring Student Expression (RISE) grants. The grants will also benefit Bound Brook High School and Union High School in New Jersey, among others. Awarded in partnership with the Education Theatre Foundation, the grants will "cover the critical needs of theater programs, ranging from production expenses to technical equipment and master classes," a release states. "It is a dream come true for me that Rise will have a genuine impact on 50 high school drama programs throughout the country," Rise creator and executive producer Jason Katims said. "It has never been clearer that the future of our country rests on the shoulders of the next generation of young leaders." To qualify for grants, schools had to have existing theater programs, or what the release calls a "champion of theater arts" if their theater programs had been shut down. Participants sent in essays and videos highlighting their theater efforts. The Rise series was inspired by the 2013 book Drama High: The Incredible True Story of a Brilliant Teacher, a Struggling Town, and the Magic of Theater by former Inquirer and Daily News reporter Michael Sokolove. The book follows drama teacher Lou Volpe, who is known for his work at the school thanks to national acclaim for putting on shows like Les Misérables, Rent, and Spring Awakening. The series generated significant controversy this year when creator Katims revealed that the character inspired by Volpe, Lou Mazuchelli (played by Josh Radnor), is written as a straight man. In real life, Volpe is a gay man who spent years in the closet. A petition called for the character to be rewritten as a gay man because writers "practically slapped the actual man in the face" with the change in sexual orientation. "There is a diverse set of people represented, and they're not just represented to be represented," Sokolove said of the "straight-washing" criticism. "They help serve the story. … [The show] takes chances. Maybe it didn't take the chance you wanted it to take, but if you want it to look the way you want it to look, then go write a TV show." Rise premieres at 10 p.m. March 13 on NBC.